11.08.2012. Malaga, Spain. 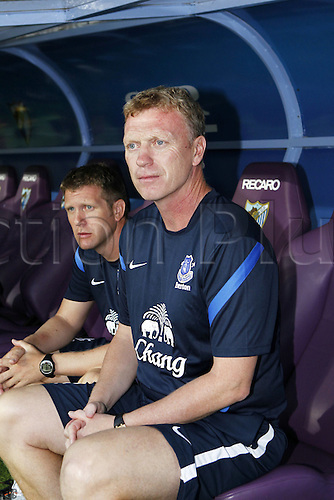 David Moyes (Everton), Pre season match "Trofeo Costa del Sol" between Malaga and Everton, at the Rosaleda Stadium, Malaga, Spain, August 11, 2012.